I heard about this race a little late as I won a last minute place through a social media competition, but it looked so much fun I just had to take them up on the opportunity. It just so happened that the race was at Bath Racecourse, which is only about 15 mins from my house, so nice and close too. 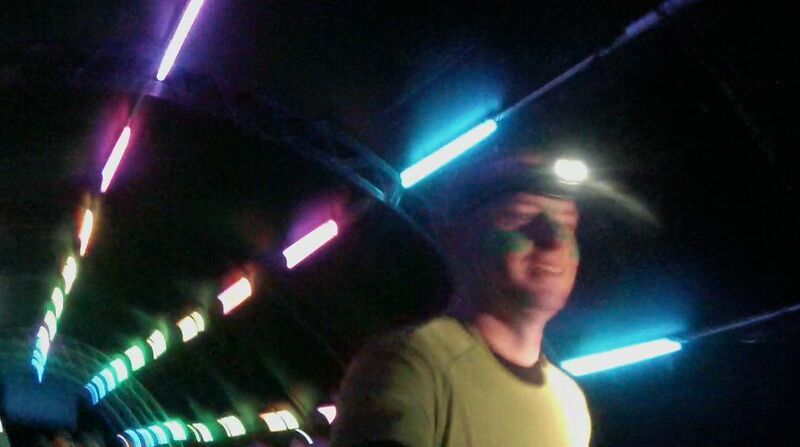 Glow in the Park is fairly self explanatory really, it’s a charity event where you are given the option to dress in as many neon clothes as possible and light yourself up with all kinds of stuff, glowsticks, neon paint and a key piece of equipment, a head torch. 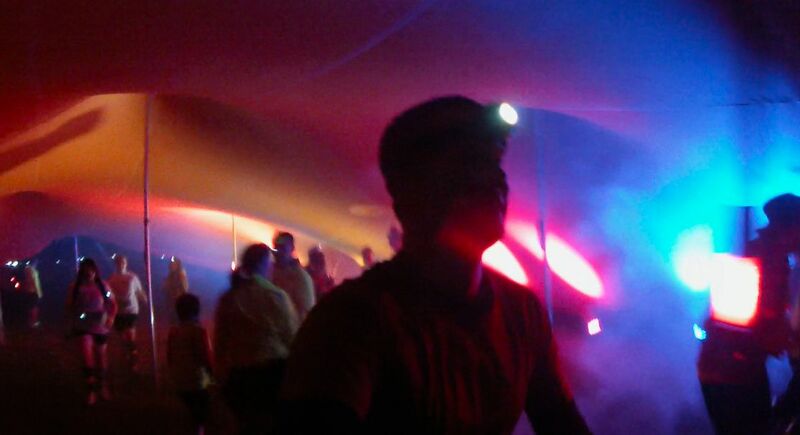 Whilst running around the pitch-dark course you aim towards various ‘light-zones’, which are big tunnel tents set up jog through, all with their own musical themes, which make the whole event a glowing, bright and social event. I headed over to the racecourse in my brightest top, and instantly feet like I should have more of an effort with ‘glowing myself up’! All around fellow runners were bright, vibrant and bubbling with excitement. 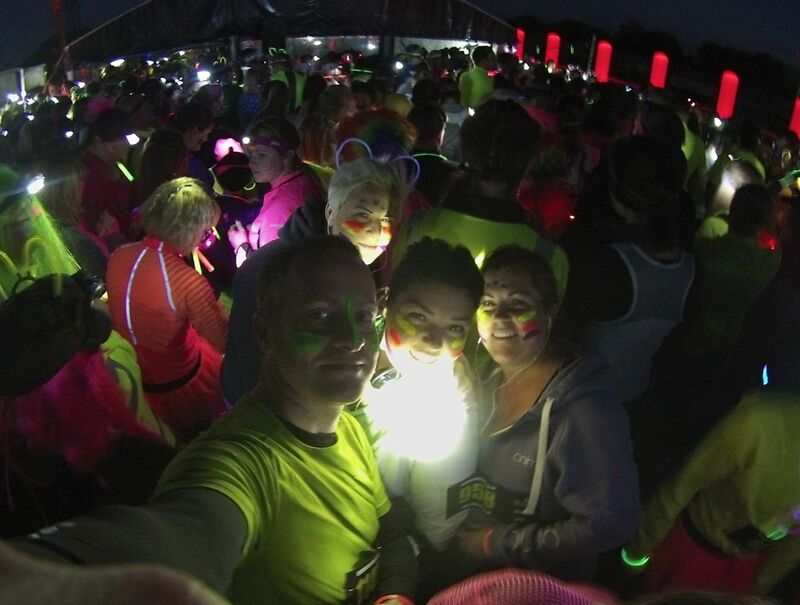 There were running clubs, groups of friends and families all ready to take on Glow in the Park. Even my wife and kids were getting excited as you can tell in the picture! I signed in just as the light was fading and things were getting going with the light show. As I was getting ready to set off I bumped in to two old friends from school, a great way to start the race off. Groups of around 30 headed off in 2 minute time delays, which spread the field out nicely. 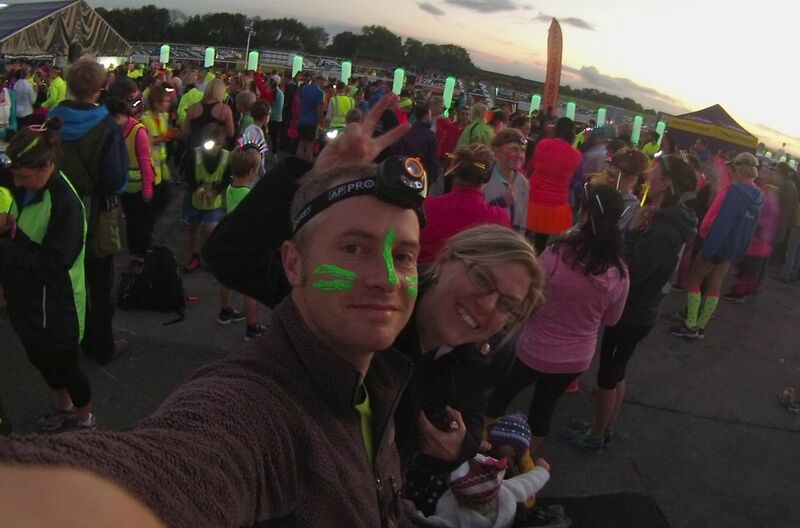 The atmosphere as every group headed off was excellent, and I really felt part of the event as we left the start line with head torches flashing all over the place. 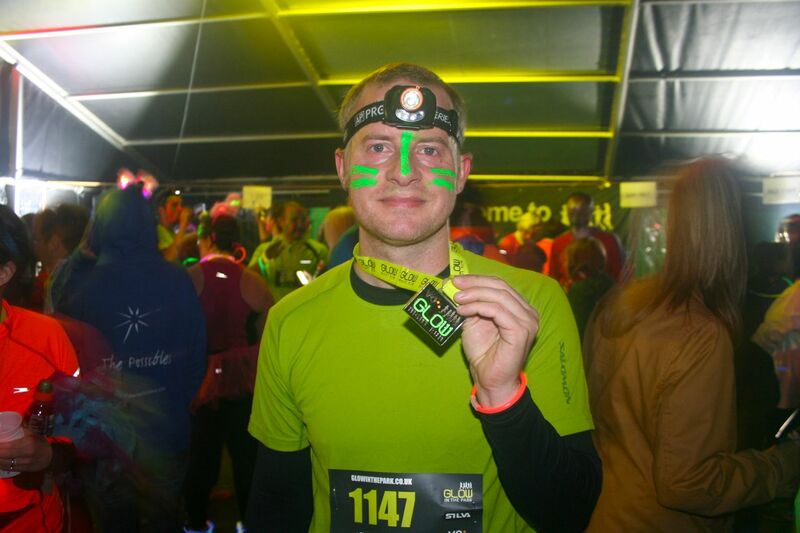 I got in to my stride fairly well although it took a few minutes to arrange where I wanted my head torch to point. Pitch black on the way around, but whenever you flashed your light at someone they lit up like a Christmas tree, it was really quite strange, but nice. The various light zones dotted around the 5k were all based on a different decade, so lasers in one, flashing lights in the other and music to suit each decade. It really was fun getting stuck in to the fun attached to this race, and it was great to see families enjoying it together; keeping fit and have great fun! I was amazed how quickly the race seemed to be over, probably because we were laughing all the way around. I was a little unsure whether this would be my sort of event, but I loved it. Next time I take this race on it will be with a big group of friends, and really going to town with the glow sticks and clothing. It’s great fun and for all jogging abilities! To find out when your local Glow in the Park is here!